The past week has been quite a difficult week for me as my dad passed away suddenly and then my health has been giving me a lot of problems too. My dad and I weren’t very close but it obviously was still a shock. So for these reasons, I just haven’t been able to concentrate on crafting or blogging. I did manage to make one card before last week and that was for our niece. 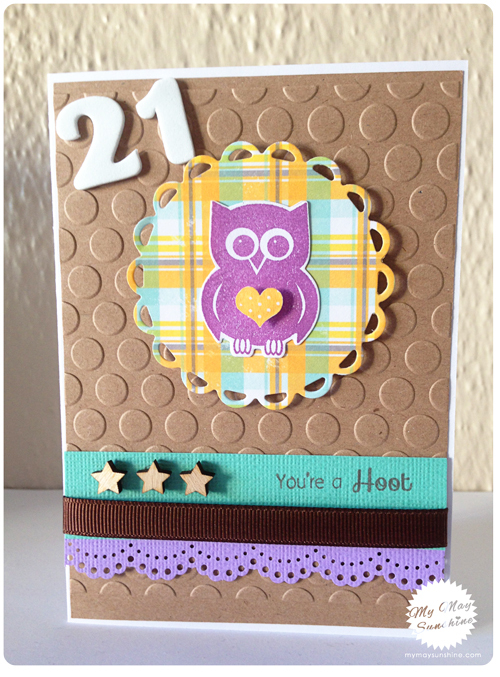 Monday was our niece’s 21st birthday and as she loves owls, I thought I would use the Clearly Besotted You’re a hoot stamp set. I started with the patterned paper that is the lacey circle. From there, I chose the card and the ink. 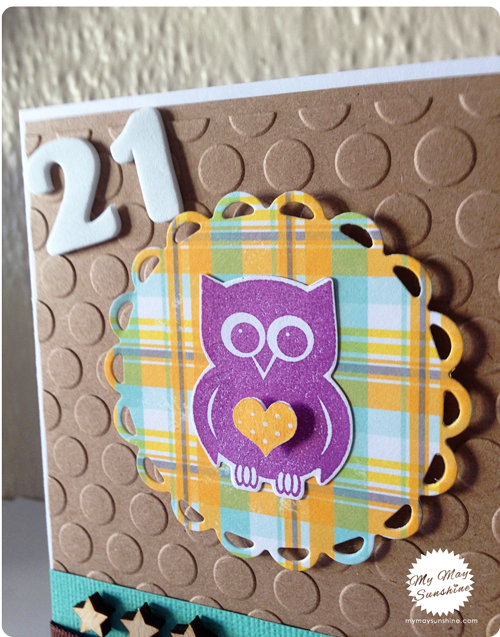 The cute little owl with the polkadot heart is so cute. Love it. Paper – Making Memories Just Chillin Girl | Card – American Crafts | Stamps – Clearly Besotted You’re a hoot | Die – Spellbinder Nestabilities Lacey Circles | Ribbon – American Crafts | Border Punch – Martha Stewart | Wooden Stars – Ebay | Foam Letters – American Crafts Thickers | Embossing folder – Cuttlebug seeing dots. 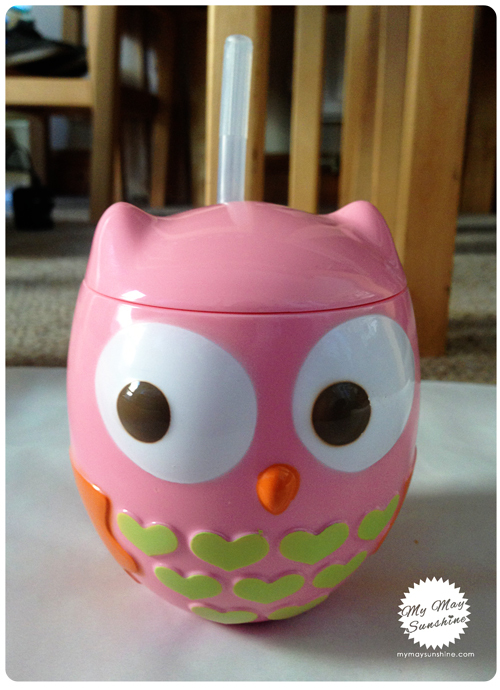 As our niece loves owls, I bought her a cute little owl mug, only trouble was when Hollie saw it, she wanted one too! Mojo Monday Sketch 254 – Enjoy.